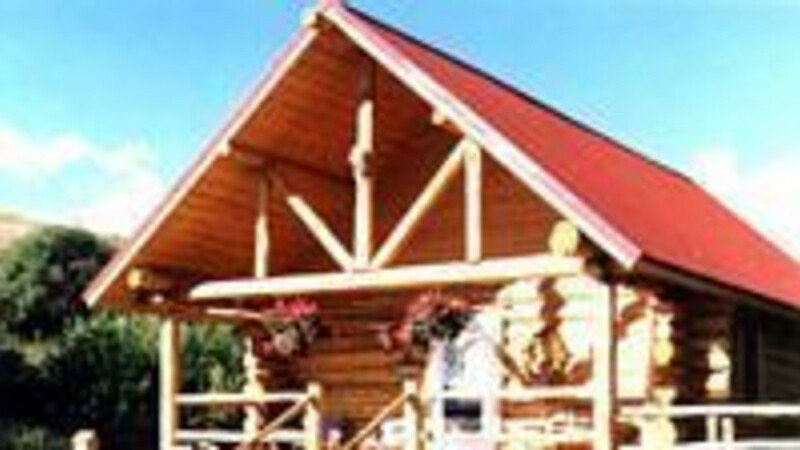 The Outlaw Cabins are hand-crafted log cabins located on a historic working cattle ranch. The cabins are completely private with a small stream running by them. The Outlaw Cabins are less than ten minutes from Lander Wyoming, yet secluded and quiet. From the cabins you have a wonderful view of the Wind River Mountains up close and personal! You probably will have first hand close-up viewing of the wild-life in this area. There is a legend that four outlaws are buried on the ranch. At one time it was believed that one of them was Butch Cassidy, who frequented this area. He was later seen, alive and well.